In a frying pan, lay your slices of prosciutto ham and fry. You’ll find the ham releasing its own oil but use a spatula to flatten it, which helps it to release even more oil. 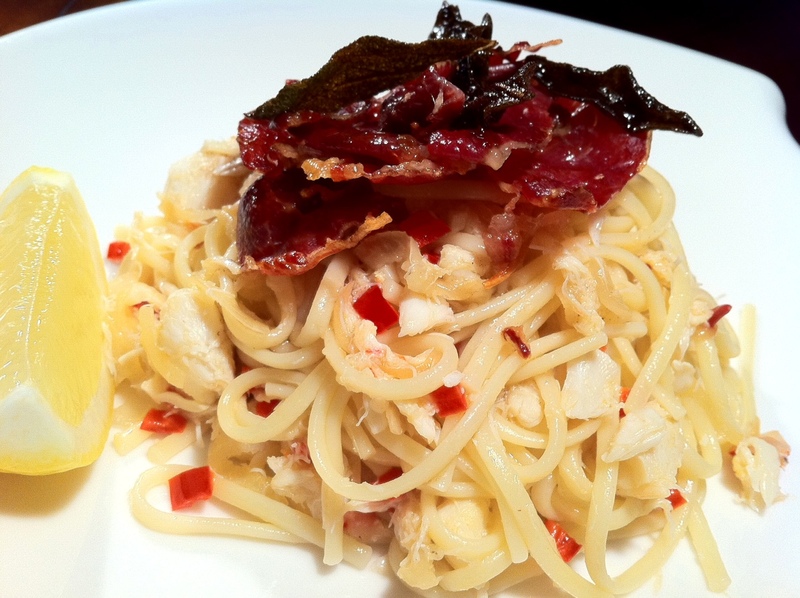 Transfer the crispy prosciutto onto kitchen paper to remove any excess oil. The brand of linguine I use normally takes about 12 minutes to become al dente so once my pasta goes into the pot, I start on cooking the crab. In a saucepan, melt your butter and olive oil and on a low heat, sweat off the onions. I slow cook the onions to keep it from taking on much colour. It normally takes about 6-8 minutes before it turns translucent and starts browning just on the edges. Add your garlic and turn up the heat a little. 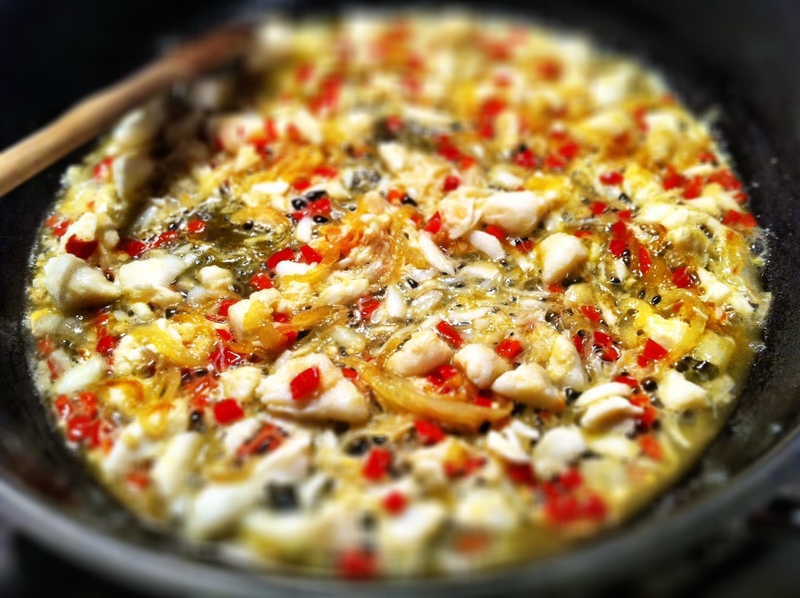 Fry off your garlic gently and then add the red chillies and keep frying gently for another minute or so. Add the crab meat to the frypan but fry it gently, I like trying to keep the crab in bigger chunks. Add the white wine and then the lemon juice and sprinkle a generous pinch of salt. Season with more salt (but remember the prosciutto will also be salty) and some finely ground black pepper. 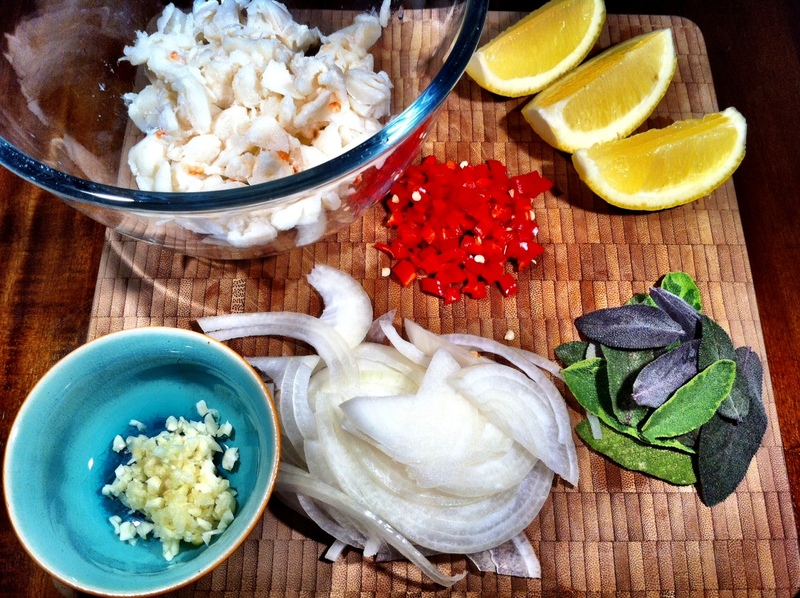 At this time once your pasta is cooked, drain the pasta and toss it into your crab sauce. Mix thoroughly. 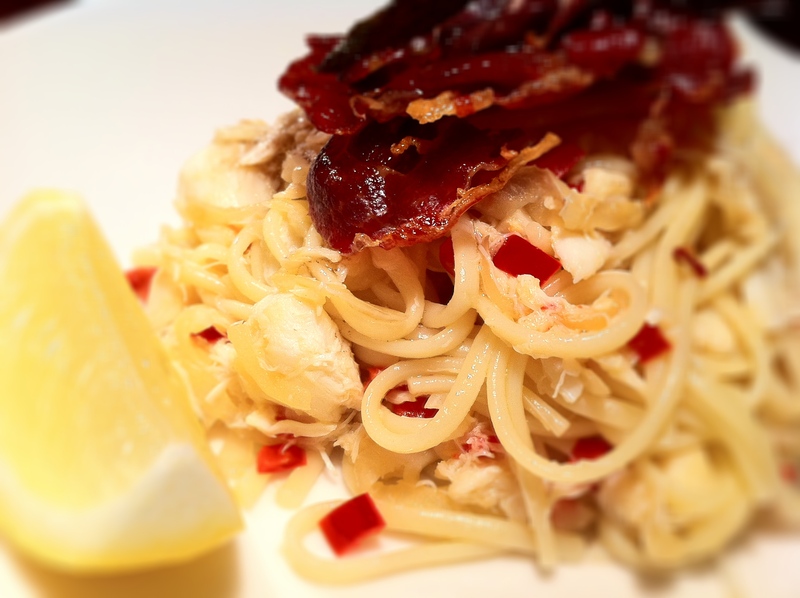 To serve, place 1-2 slices of crispy prosciutto on top of your crab linguine. 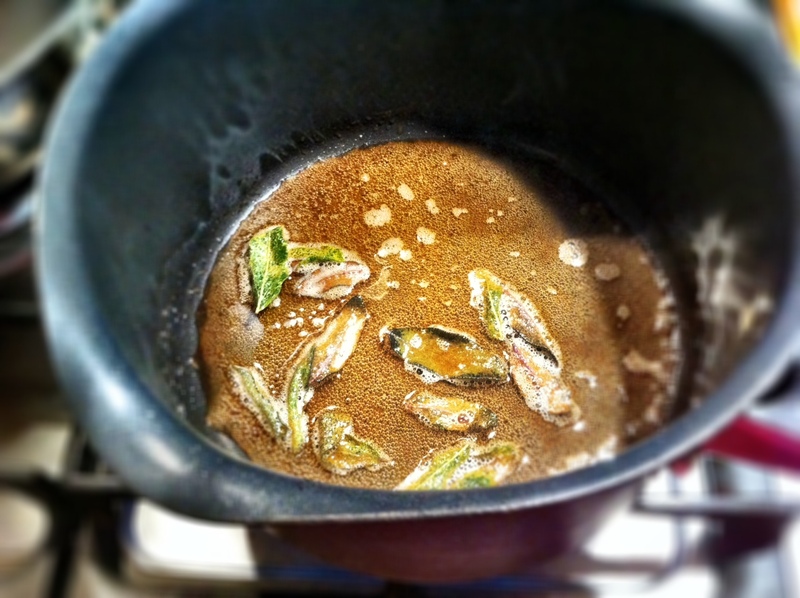 Place 4-5 fried sage leaves on top and drizzle 1 teaspoon of the sage oil over your pasta. Serve with a glass of your favourite white wine. Quick to cook, delicious to eat!